If you find a missing link please let me know. Perhaps you have been intrigued by unfamiliar markings on items or by a recent visit to a Mechanised Letter Office, and would like to find out more. 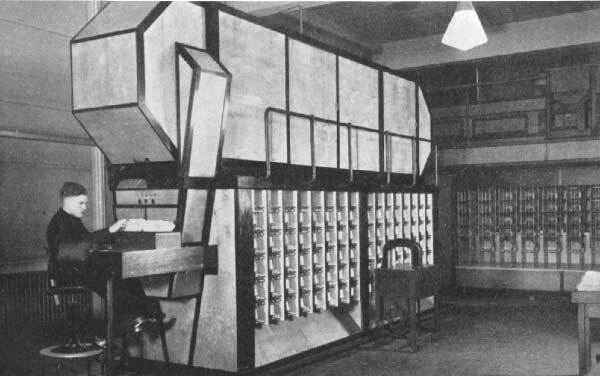 The Postal Mechanisation Study Circle ( PMSC ) was founded in 1976 and has a world-wide membership. We study all aspects of the automation and mechanisation of the posts around the world, for example postal markings, equipment, systems and stamps. Why not join PMSC and take part in its activities. The Transorma Maskin 1/160 tested in Sweden 1950. AEG from 1974 to 1984. 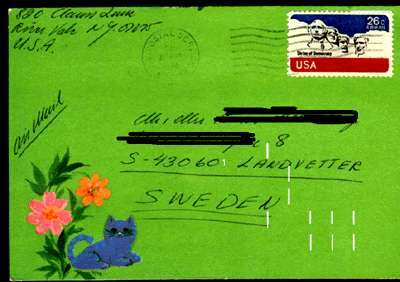 LSM (BSM) installed in Sweden 1997. 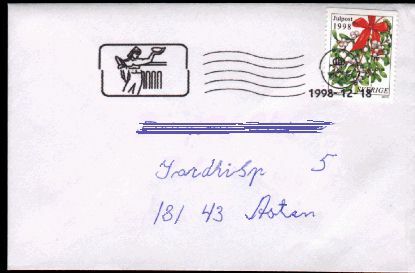 Picture 1 Ink-jet Pitney Bowes U 700 from Göteborg Cancellation 18-12-1998. 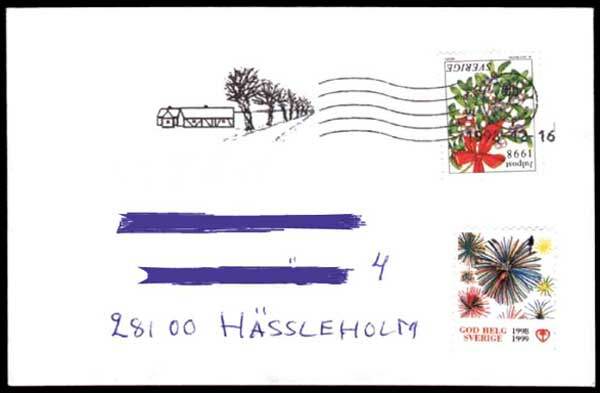 Picture 2 Ink-jet Pitney Bowes U 700 from Malmö Cancellation 18-12-1998. 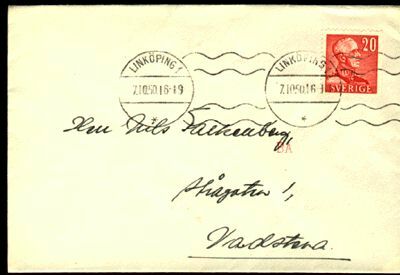 Picture 3 Ink-jet Pitney Bowes from Uppsala IRM Cancellation 17-06-1999. 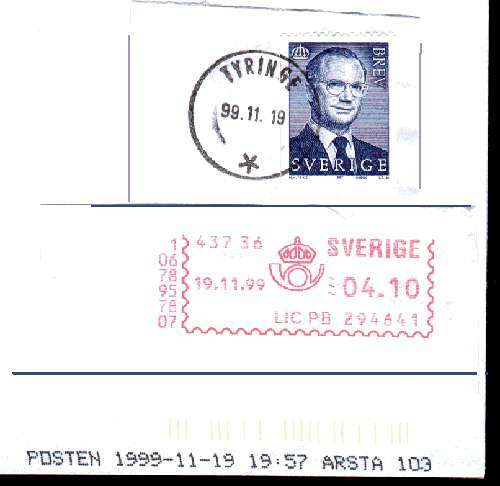 Picture 4 Stockholm - KLARA Cancellation 20-02-1999. 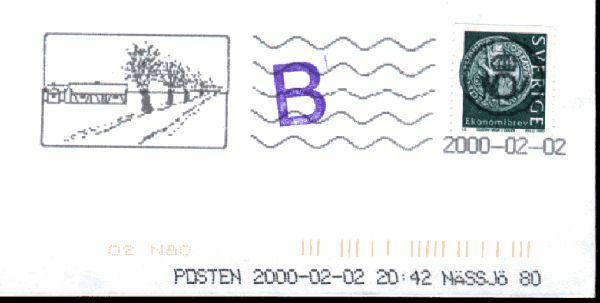 Picture 5 PORT PAYE PAYS BAS 08/03/99 in red color. 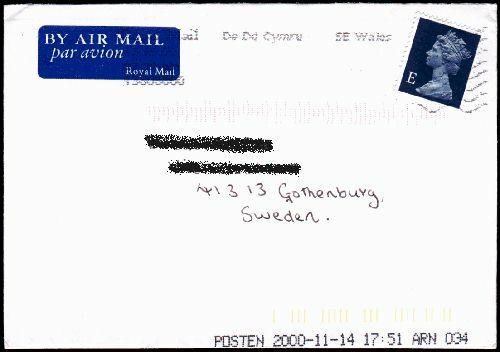 Picture 6 From De Dd Cymru SE Wales to Göteborg sorted at ARN 034 (Arlanda 034) 14-11-2000. 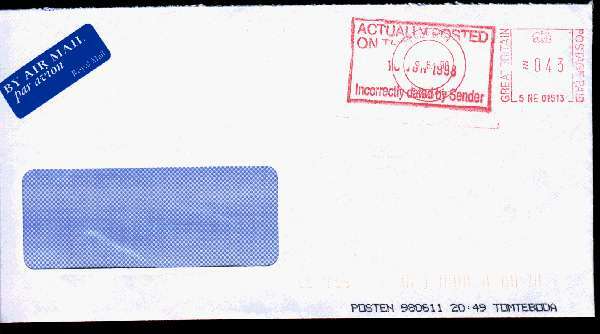 Picture 10 Incorrectly dated by sender. 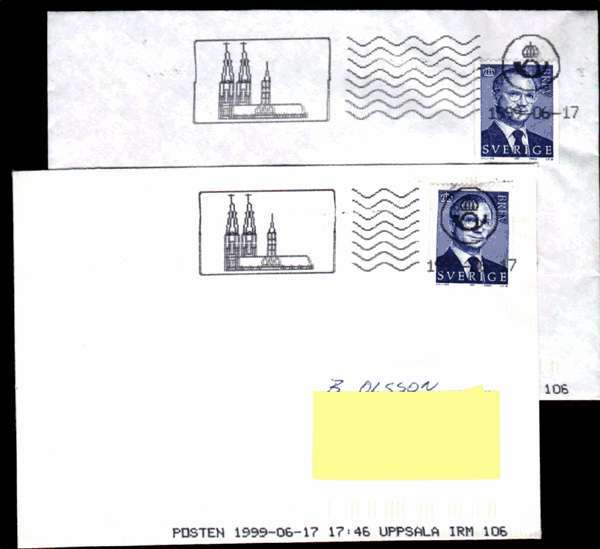 "Inkjet" sorted at Tomteboda 1998-06-11. Picture 11 This day is an odd day, meaning that all of the digits in today's date are odd, 19-11-1999. The next odd day after today will be 11-11-3111 (over a thousand years away), which we will never see. A picture of tree cut pieces. Now you have a reason to celebrate, as it will be your last odd day on earth!!! Have a nice Odd day! First week in 2006 all 15 Inkjet Printers in Sweden got a new look. The post horn got smaller and under it is the name of the terminal and under there is the date. These 3 things was earlier to the left, now it is to the right. Now all 15 machines has 4 wave lines for C5-covers. Smaller C6-covers has no wave lines. Sorry the page in Swedish, but the pictures are in English. I hope this will help you to understand the text under the pictures.